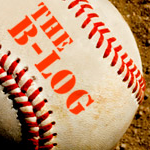 Brian Roberts is the Baltimore Orioles’ second baseman, a strong, agile, 31-year-old two-time All-Star. However, 26 years ago he was a frail little kid laying in a hospital bed and about to face open-heart surgery. On August 16, 2009 OriolesREACH and Brian Roberts hosted the Fourth Annual Brian’s Baseball Bash, a fundraising event for the University of Maryland Hospital for Children. The special evening for fans at the ESPN Zone in Baltimore included silent and live auctions of sports memorabilia to help the children at UMHC. 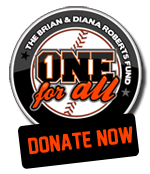 Through the hard work of Brian and the OriolesREACH team, and the generosity of Orioles fans, more than $450,000 has been raised since the first Bash in 2006. In addition, the Orioles have donated more than $20,000 to provide tickets for patients and their families. God made him who had no sin to be sin for us, so that in him we might become the righteousness of God. Special thanks to Nike for the continued support in 2011.